Son of Go d was born on earth, lived like an ordinary man and died on the cross bearing the burden of mankind’s sin. Thereafter, He rose from the dead on the third day, defeating death and evil. God’s promise to man was thus fulfilled. This holy sacrifice is celebrated through the Christian festival of Easter. Easter has its origin in a pagan festival that was celebrated before the advent of Christianity. This was originally a festival dedicated to the Saxon Goddess of fertility and spring, Eostre. When Christianity replaced the paganism, these festivals had to be stopped. But it was not easy to stop an occasion of merriment and cele bration that was celebrated for centuries. The easiest way was to convert these festivals into a Christian one with a Christian relevance. Since this festival was conducted to celebrate harvest and the coming of spring it happened after the spring equinox. The death of Christ also was recorded after the Jewish festival of Passover which somewhat coincided with the time of the pagan festival. So Easter was celebrated every year on the Sunday after the f irst full moon after March21. Easter rituals start from Ash Wednesday which is 46 days before Easter. The lent starts from that day and the Christians observe the lent till Easter. Easter days include the Maundy Thursday, Good Friday, Easter Saturday and Easter Sunday. It is said in The Bible that Christ had his last supper with his disciples on the Thursday night and was betrayed by Jude during the small hours of Good Friday. He was crucified on Friday. So Friday and Saturday are observed as days of sorrow by the Christians. Then on the third day, which is Easter Sunday, he resurrects and ascends to heaven. This day is now celebrated all over the world as t he day of triumph of good over evil. It brings the message of peace and hope to mankind. 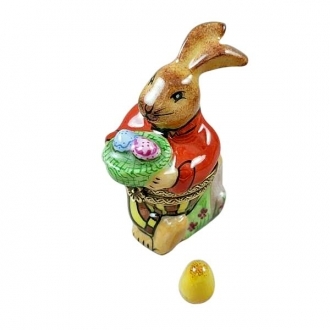 Easter egg and Easter bunny are two figures connected to Easter. Egg is the symbol of life and so it is associated with the resurrection of Jesus Christ. Easter bunny has a pagan origin. The hare is believed to be the companion of Goddess Eostre. Easter is celebrated till the Pentecost that comes 40 days after the Easter Sunday. Apart from the gastronomic excess that is associated with Easter feast, Easter is a time of merriment, games and gifts. The Easter egg hunting is the main entertainment that is enjoyed especially by the children. They get chocolate toffees and candies at the end of their hunt. 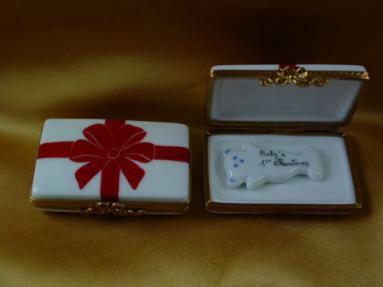 No celebration is complete without giving each other tokens of love and friendship. 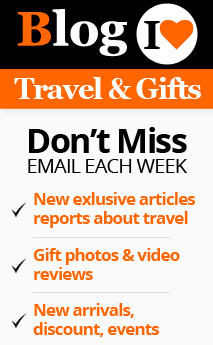 You can select your gifts considering the age, gender and interests of the recipient. 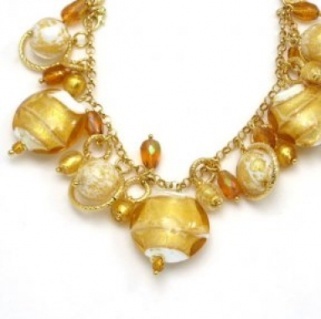 If you are looking for a gift for your lady friend, wife, sister or daughter you might choose a beautiful p iece of Murano glass jewelry. 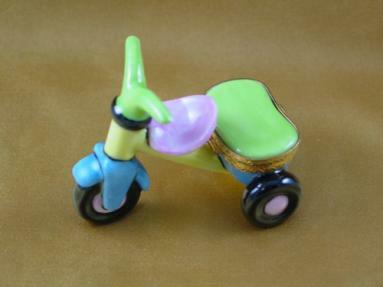 They are exquisite creations by master craftsmen of the island of Murano. If you want to please a man friend of yours, you should choose something that will decorate his office table or office room. 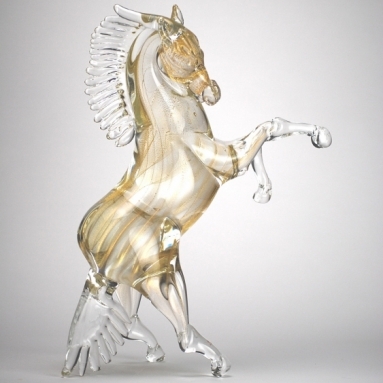 Beautiful and classy Murano horse figurines are excellent gift articles for a man. 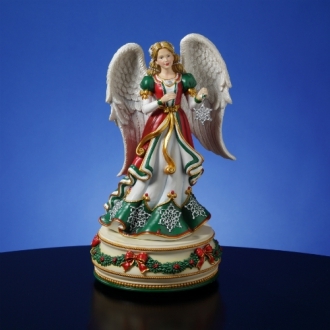 The music boxes with angel figurines on the lids will be appreciated by the aged and religious. Children also will love them. 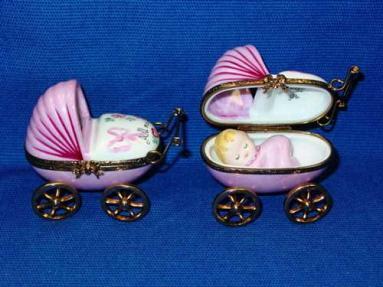 Children will love the carousel music boxes also. 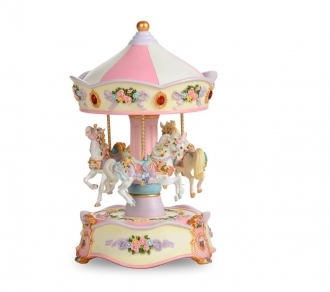 The slowly turning carousel accompanied by beautiful tunes will never fail to attract them. Another gift that tickles children is a bunny figure. 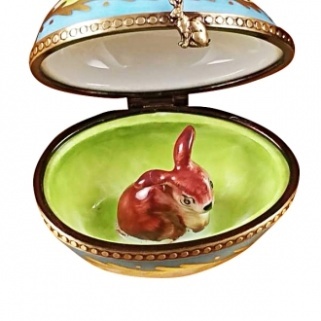 Easter bunny with Easter egg will be a nice and apt Easter gift.